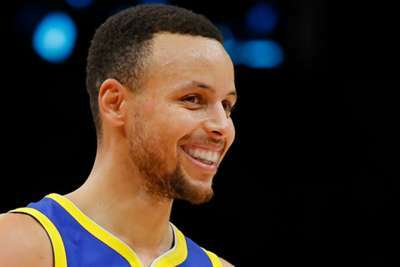 Stephen Curry said "obviously I was joking" when he questioned the legitimacy of the moon landing, though the Golden State Warriors star still plans to visit NASA. Curry caused a stir during a recent appearance on the "Whinging It' podcast after revealing that he did not necessarily believe astronauts had landed on the moon. NASA later invited Curry to its facility in Houston but the two-time NBA MVP said he was not being serious when he made those comments. "Obviously I was joking when I was talking on the podcast," Curry told ESPN on Wednesday. "I was silently protesting how stupid it was that people actually took that quote and made it law as, 'Oh my God, he's a fake moon landing truther,' whatever you want to call it, yada, yada, yada. "So, I was silently protesting that part about it, how the story took a life of its own." Curry is averaging 30.1 points and 5.8 assists in 17 games this season. He has shot 51.3 percent from the field and 50 percent from three-point range.